This was my 1st shot of the little RT Hawk! 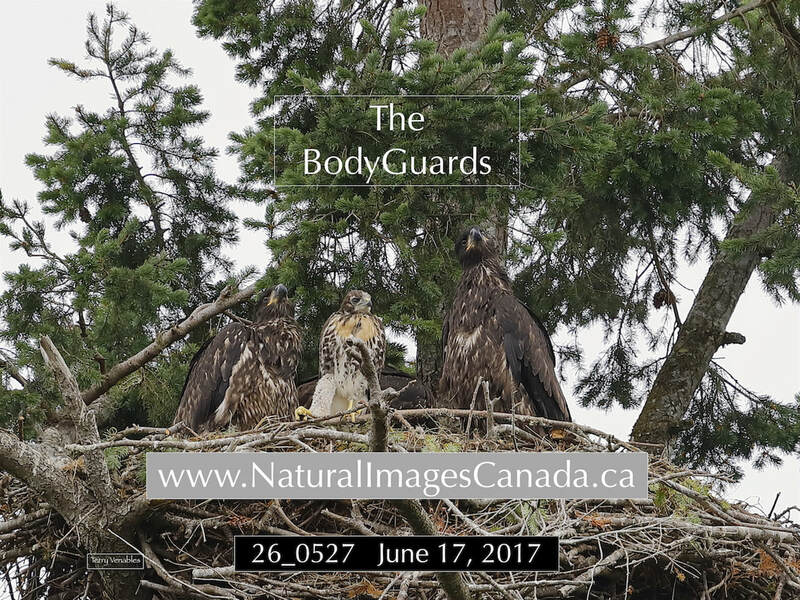 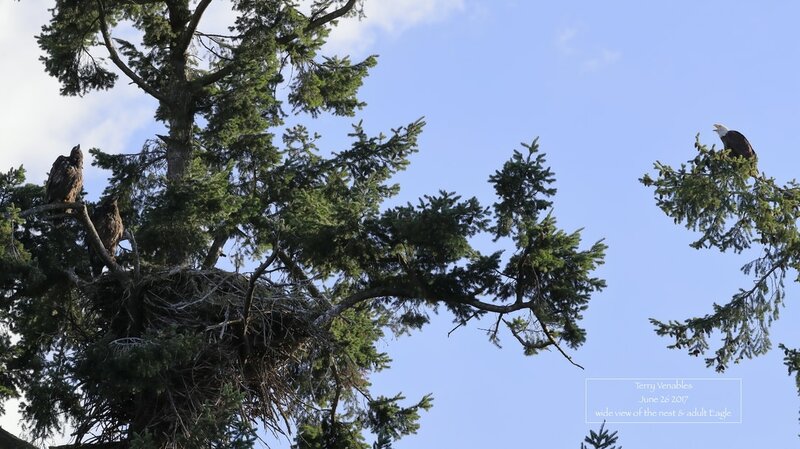 Around the beginning of June 2017, a fellow photographer, friend of mine showed me a photo of this Eagles nest with a strangely small baby eagle. 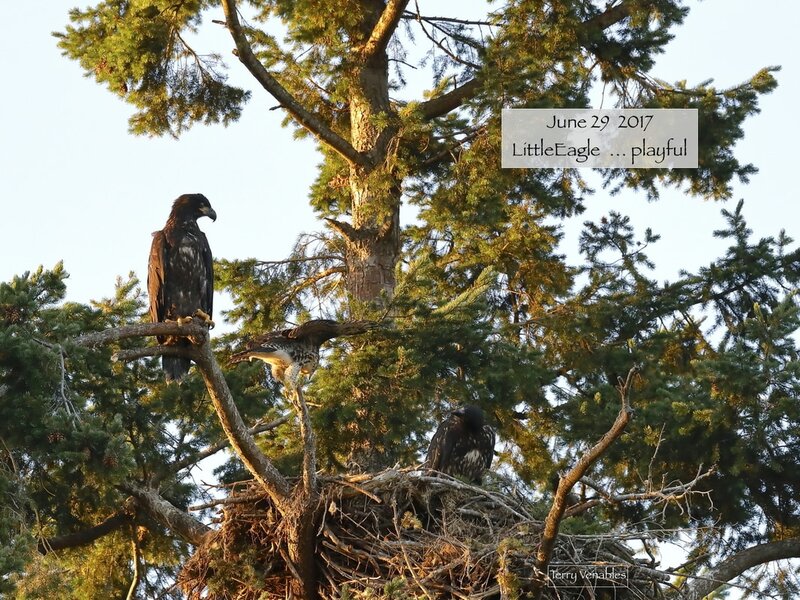 He asked me if it was common for some of the nestlings to be older than the others, and to my knowledge, I said yes it was. However, this baby substantially smaller than any I had ever seen in comparison with its siblings... 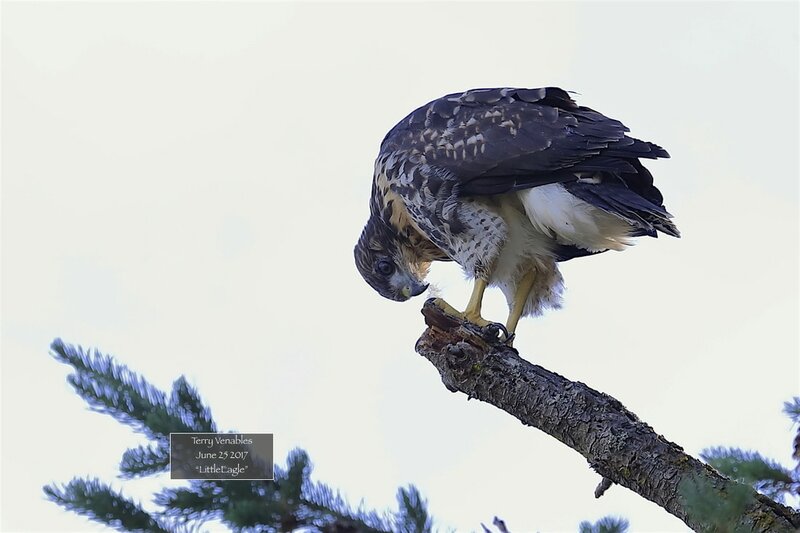 Turned out, this was no Eagle but a Red Tail Hawk. 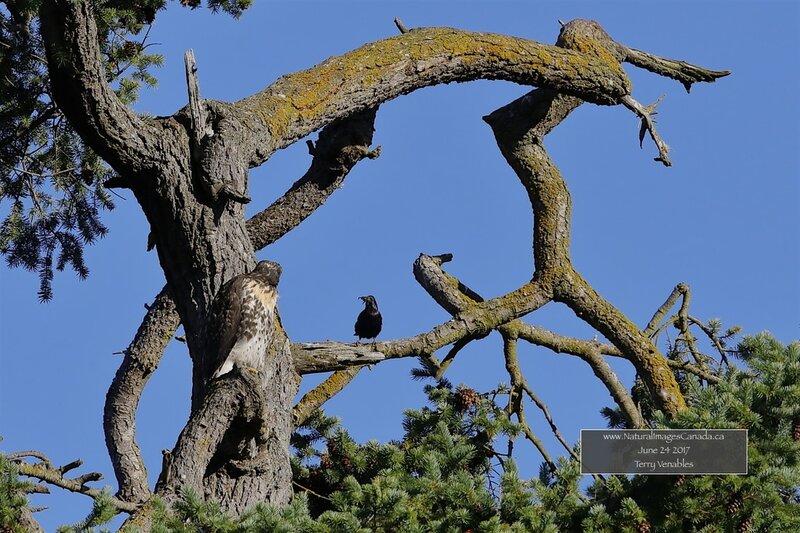 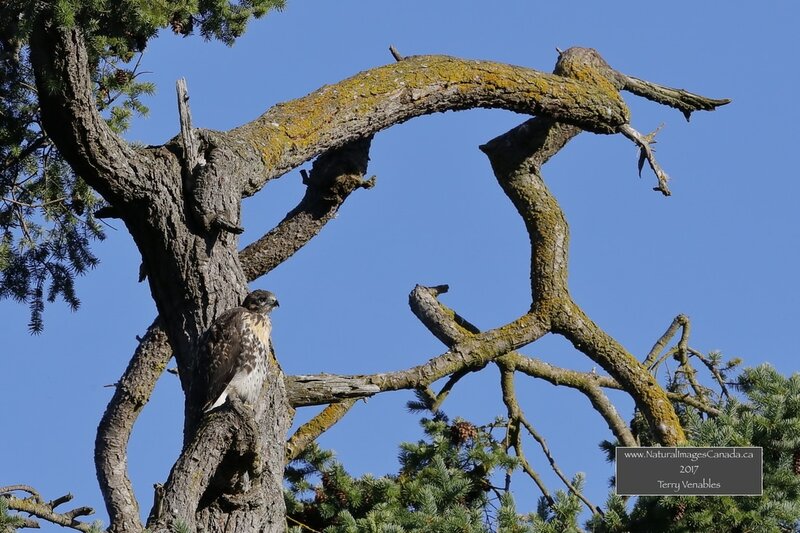 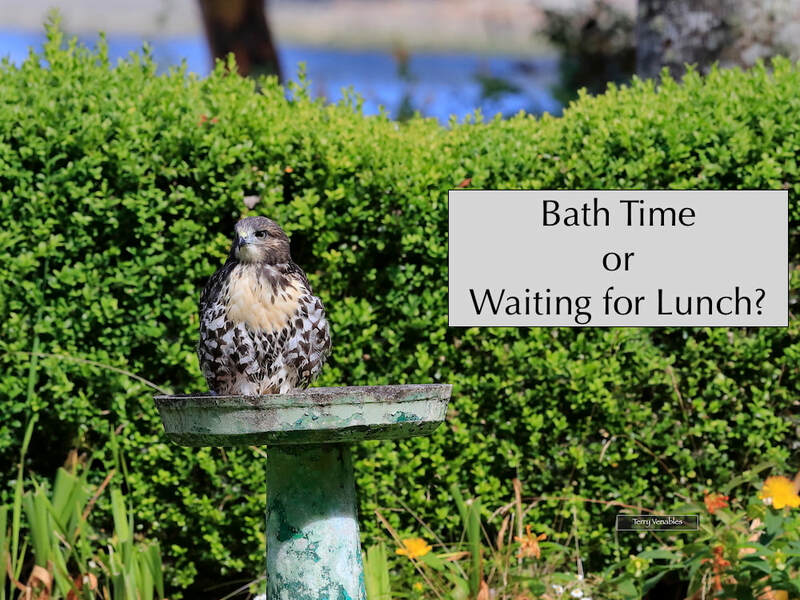 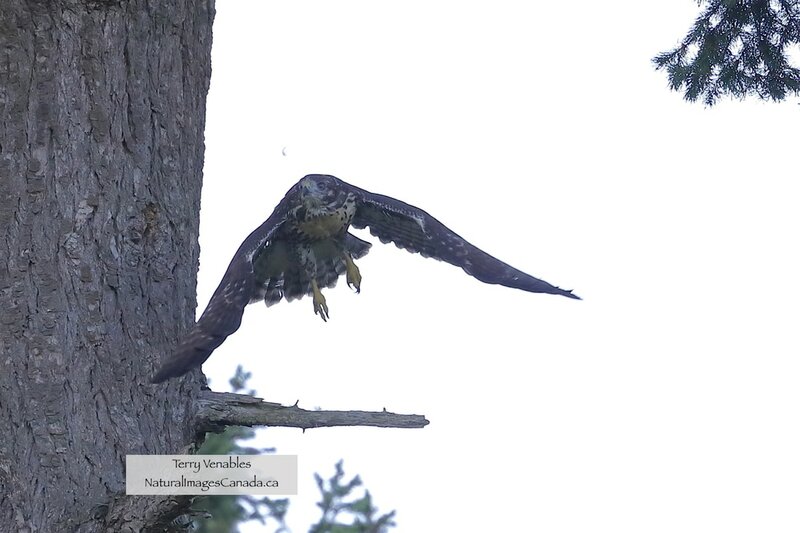 These birds would have been brought to the nest as food for the young Eaglets ... One disappeared and it's presumed was eaten, while this 2nd Hawk somehow lived and became an adoptee. 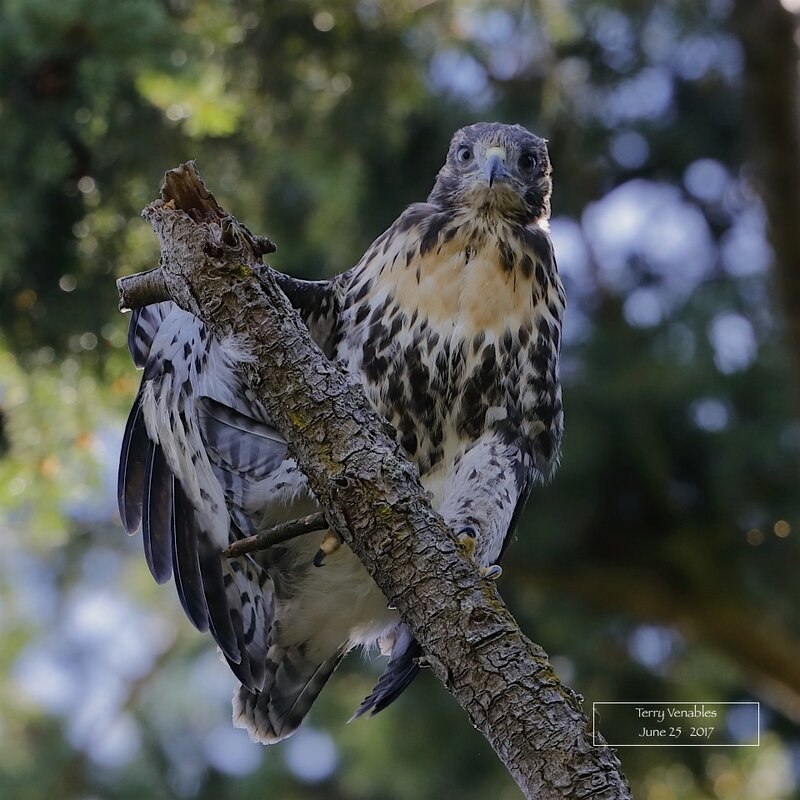 As I observed this evening, when the parents arrived with fresh food, this baby Hawk popped his head up and screamed for dinner... 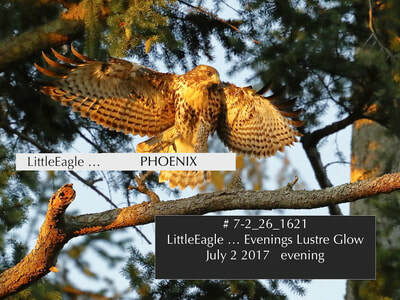 Which was promptly delivered.. Lovingly, and tenderly, I might add. 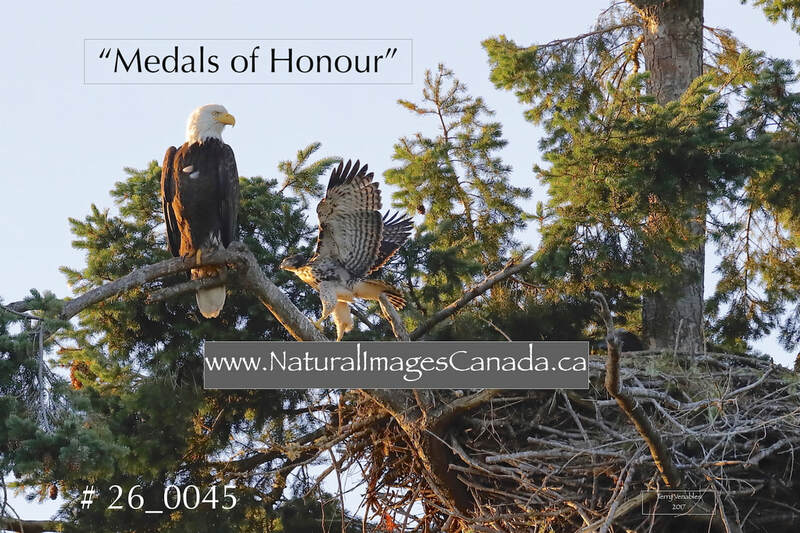 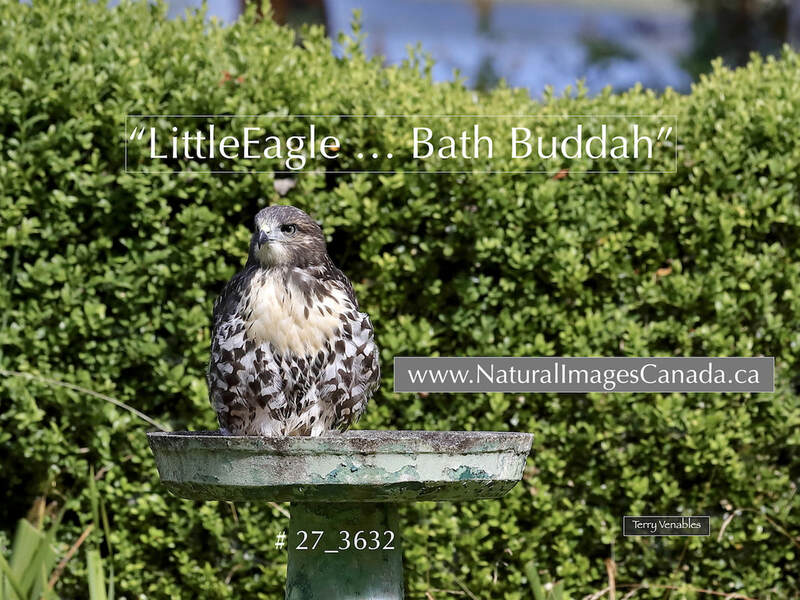 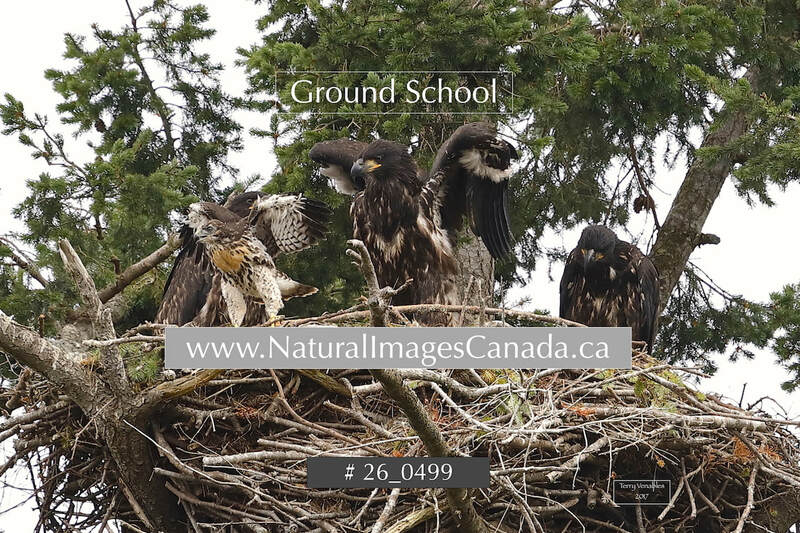 I am now proofing all the selected images that look suitable for reproducing and am pleased to present the 1st ones that will be available in the "LittleEagle" series. 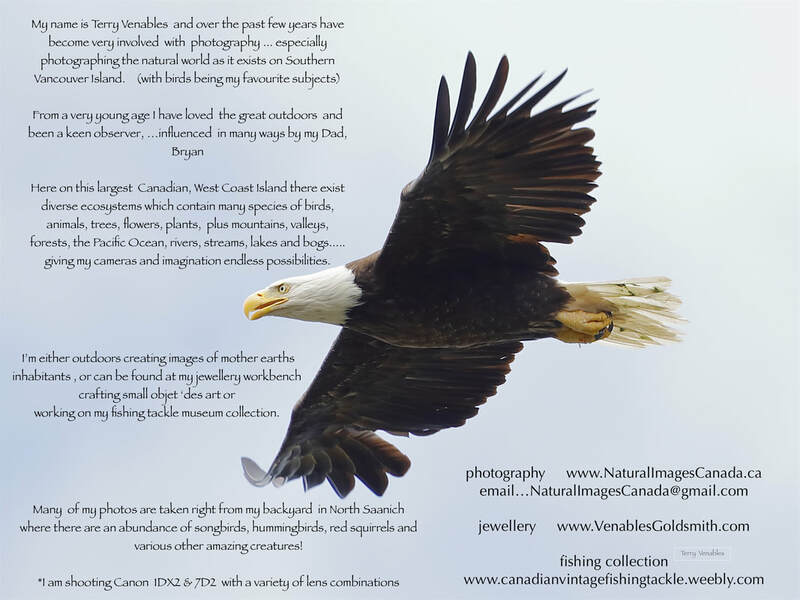 These are printed on high quality archival (MOAB) paper using bright and long lasting pigment dyes.. 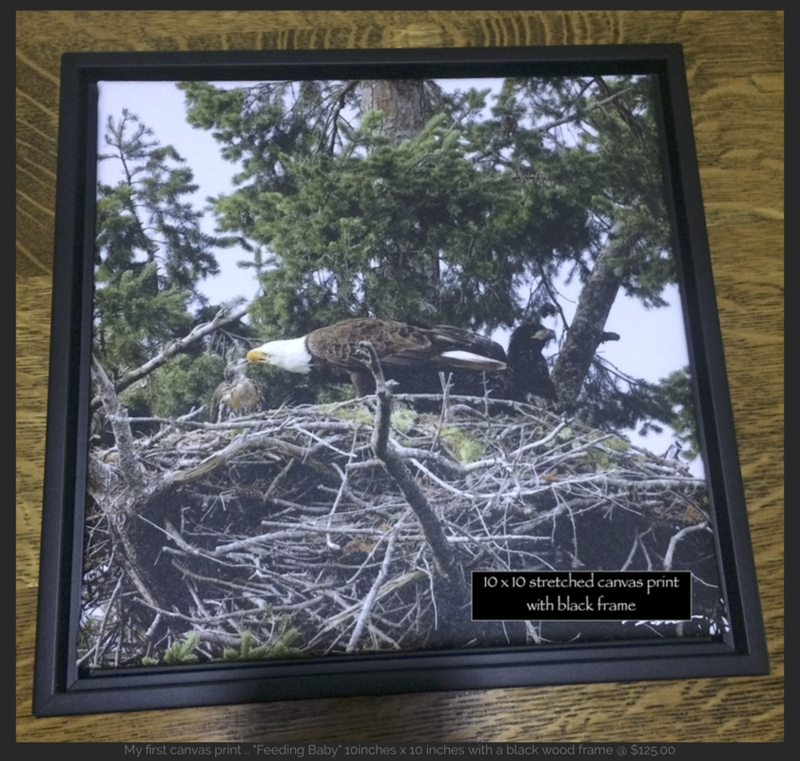 I am now printing all items in house. will ship these images worldwide at my actual cost of postage and any orders of $200.00 or more ship free. 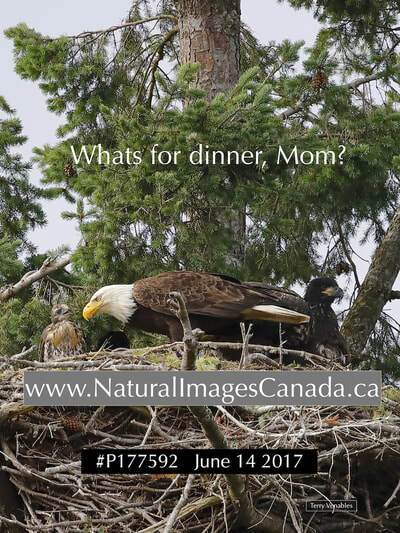 The only online form of payment I am set for is PayPal , but you may certainly pay with a cheque or Money order . To order, please send me an email to discuss , the image(s) you have selected and please include your shipping details. 10x10 @ $125.00, 12x12 @ $180.00 , 11x14 @ $210.00, 12x16 @ $275.00, plus 16x20 and larger by special order. 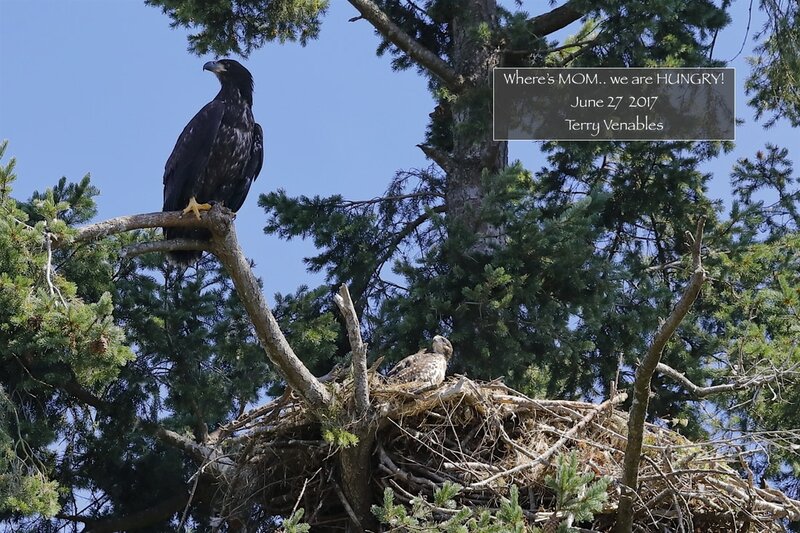 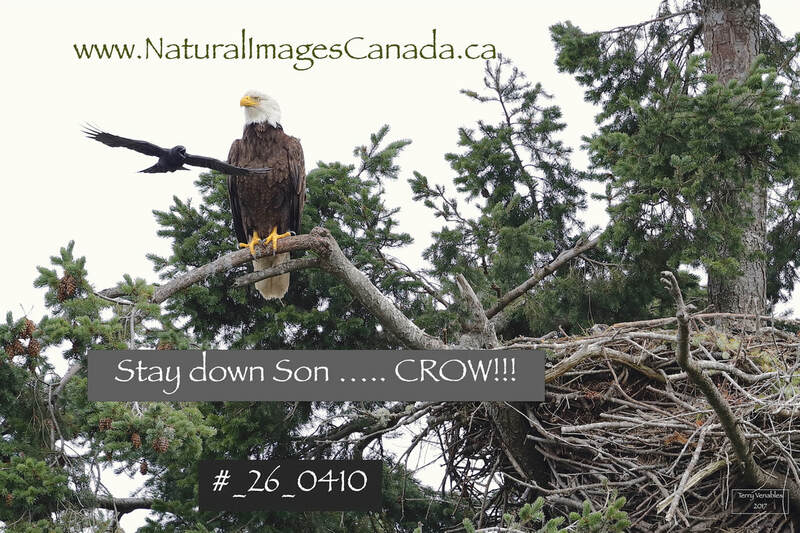 June 24th AM .. this is where LittleEagle spent the night and his Dad was there with him sitting on the limb above. 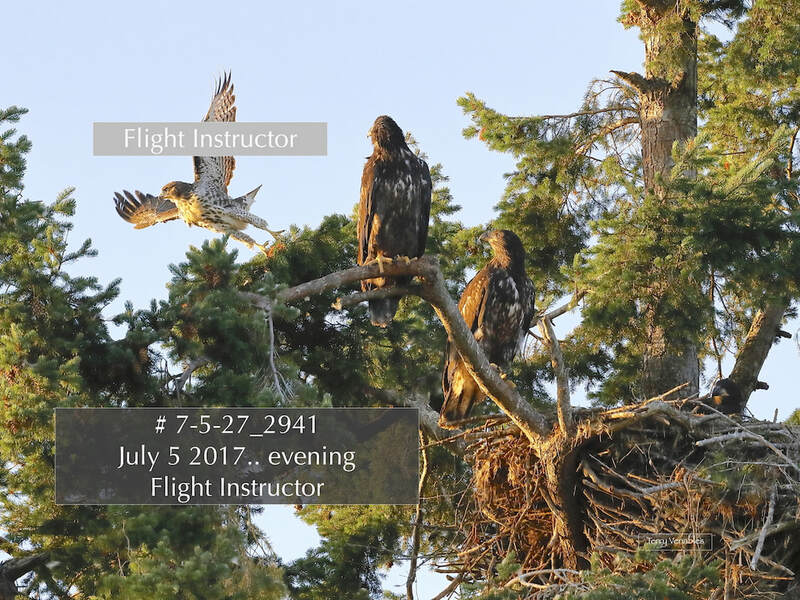 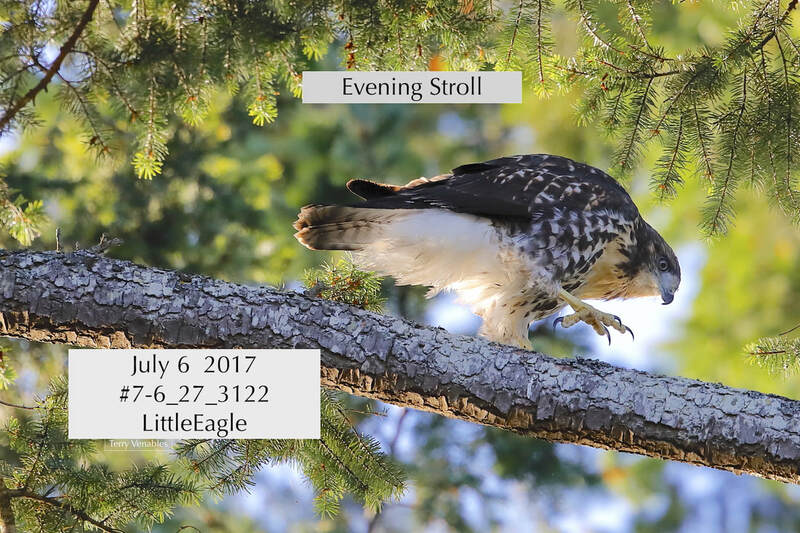 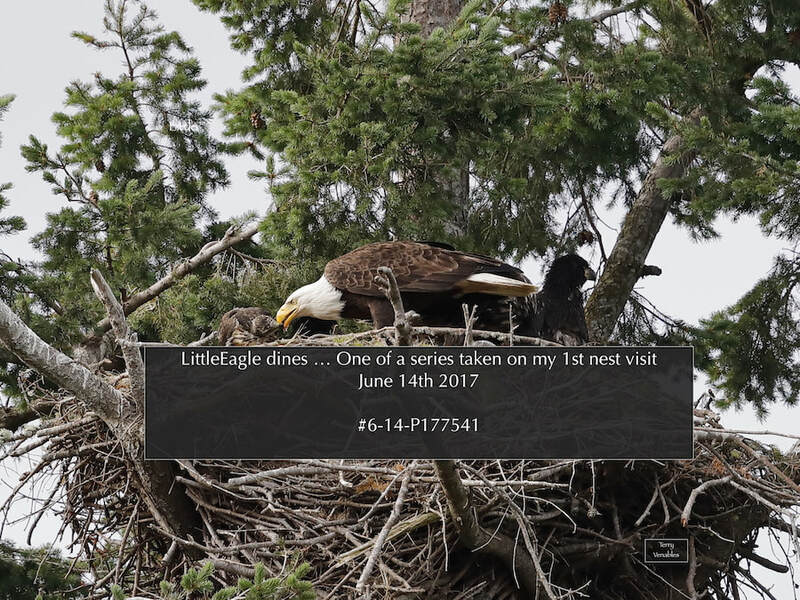 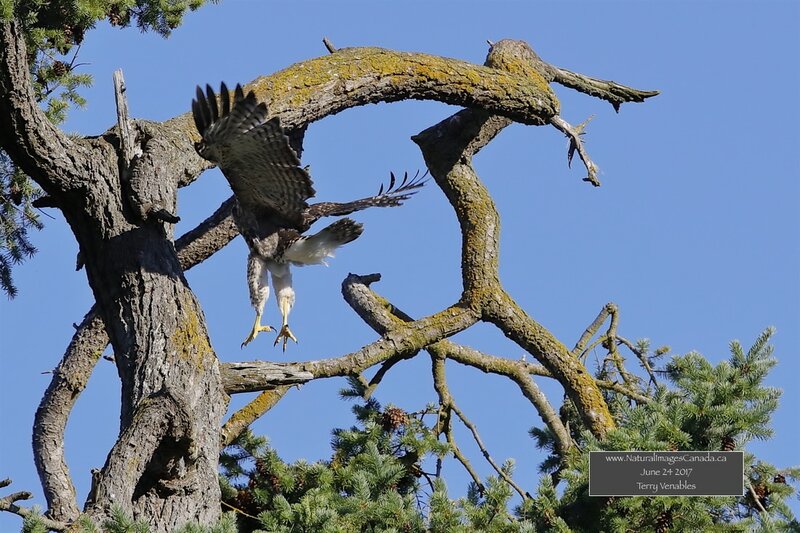 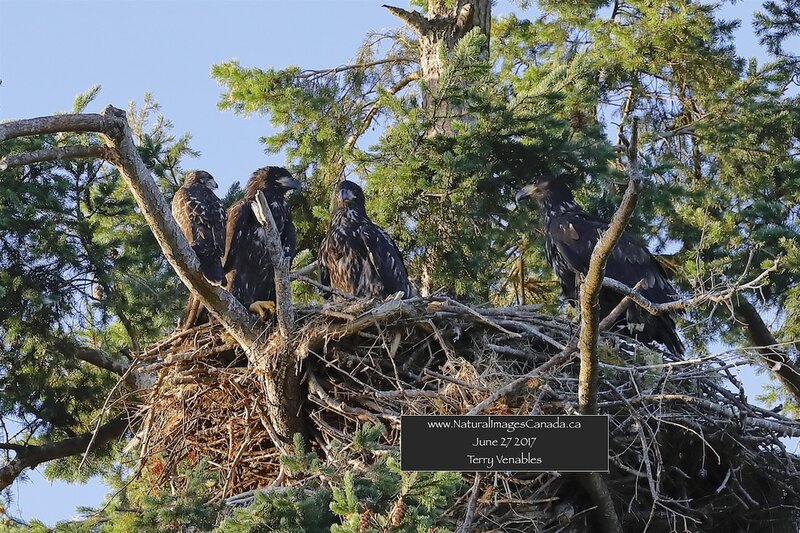 After spending an entire day in the tree he fledged to June 23, LittleEagle is shown here on his flight back to the Nest tree!